Ages 6 and up. Come for one or both. $60 per month per class. $80 for both classes. $20/30 for individual weeks. 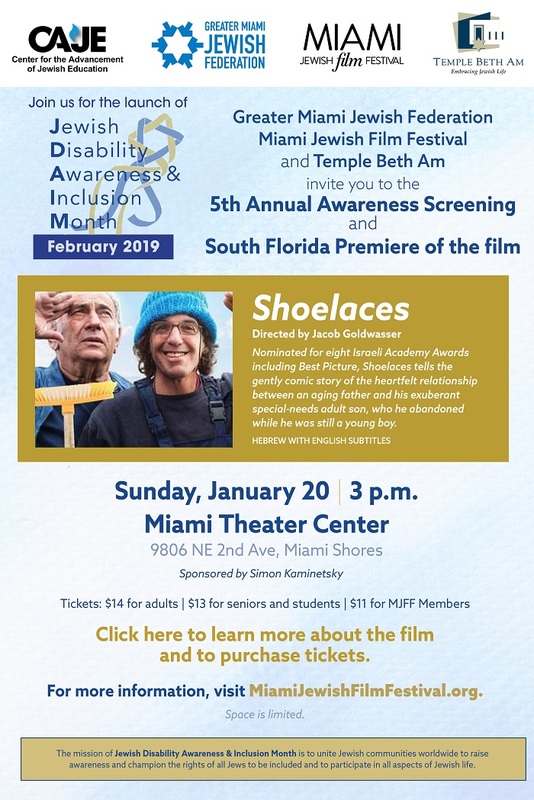 Join us to celebrate the launch of Jewish Disabilities and Awareness Month (JDAIM) at this Sunday's screening of Shoelaces, a poignant and inspiring film featured in this year's Miami Jewish Film Festival. Stay tuned for a listing of community JDAIM events happening in February! 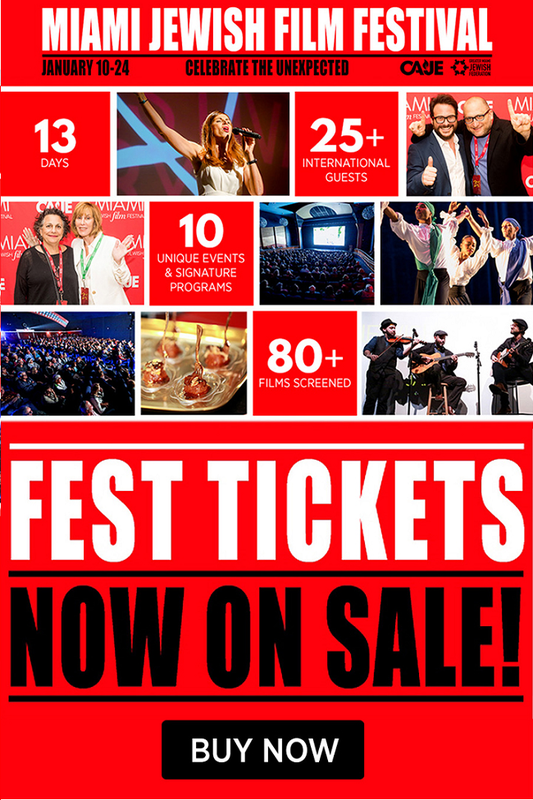 Mark your calendars for the 22nd annual Miami Jewish Film Festival taking place January 10-24, 2019! Hebrew Academy (RASG) Early Childhood Open House on Tuesday, January 8! Parents with little ones who are not enrolled in school are invited to join us, and invite their friends, for ECE Open House. This Mommy and Me event will give you quality time with your child and provide you with information about what our ECE Program can offer your family. ECE Open House for potential babies, toddlers and preschoolers, is on Tuesday, January 8, at 8:30 am at Hebrew Academy, 2400 Pine Tree Drive, Miami Beach, Florida 33140. 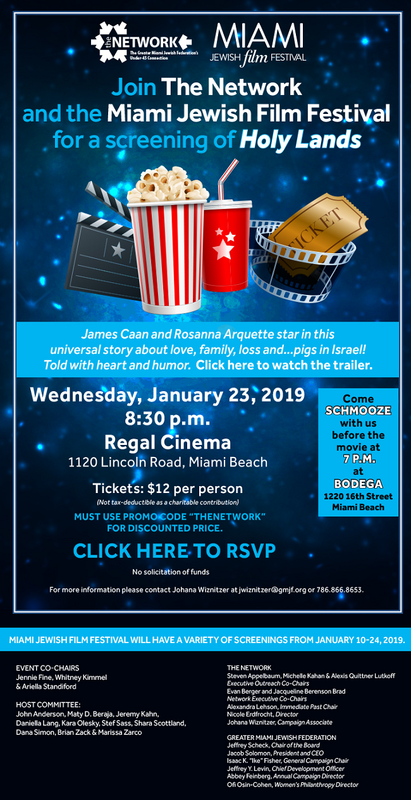 RSVP at 305-532-6421 ext.113 or at admission@rasg.org. Please RSVP at JWorks Miami - RSVP is required! The workshop will begin promptly at 10:30am, please arrive a few minutes prior and dress to impress, business casual is recommended. Just landed the interview of your dreams? Awesome. Now, we're here to help you out and make sure you score that great job, too. Before your next interview, brush up on interviewing basics, learn how to research a company and put together a strategic prep plan, and learn smart ways to handle any question or scenario thrown your way. We'll also show you how to follow up afterward (in a non-annoying way, of course). On Saturday evening, December 22, a tsunami struck Indonesia’s Sunda Strait region, killing more than 370 people and displacing thousands. In the wake of the devastation and mounting death toll, immediate assistance is needed. 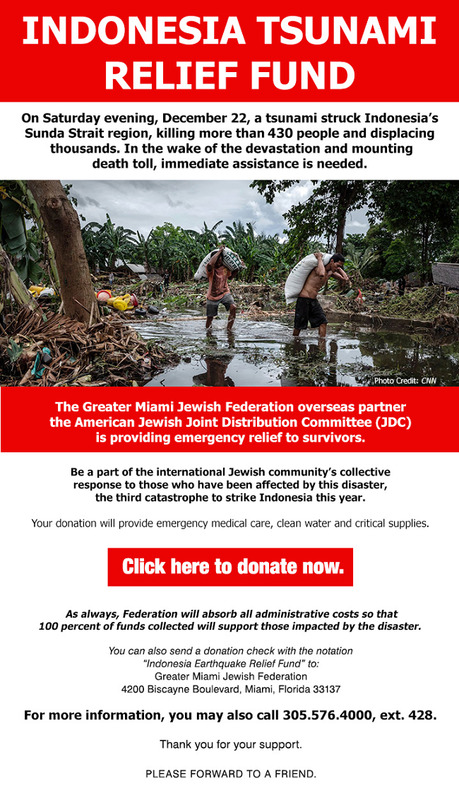 The Greater Miami Jewish Federation overseas partner the American Jewish Joint Distribution Committee (JDC) is providing emergency relief to survivors. Be a part of the international Jewish community’s collective response to those who have been affected by this disaster, the third catastrophe to strike Indonesia this year. Your donation will provide emergency medical care, clean water and critical supplies. Donation checks with a notation of “Indonesia Tsunami Relief Fund” should be mailed to the Greater Miami Jewish Federation, 4200 Biscayne Boulevard, Miami, FL 33137. For assistance, you may also call 305.576.4000 ext. 428. Join us for a Shabbat promoting inclusion & special health awareness. Friday, Feb 8 - 6:00 pm Inclusion Service, 7:10 pm Shabbat Dinner. Saturday, Feb 9 - 10:30 am Inclusion Service with Special Children's Program, 12:00 pm Shabbat Lunch.